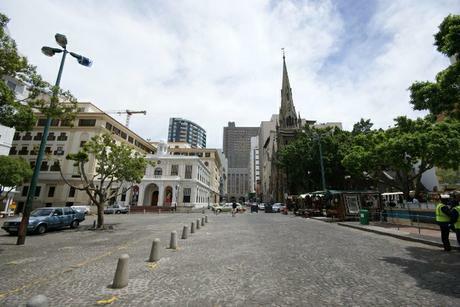 Greenmarket Square is the second oldest public site in Cape Town (the oldest is Grand Parade). It was originally named Burgher Watch Square, which was later changed to Stadhuys Plein and then, in 1805, to Greenmarket Square. It was created in 1696 when a Burgher Watch House, which housed the guards who patrolled at night to maintain law and order, was built. In 1761 the Old Town House was built in its place and used as a meeting place for a municipal commission. The Old Town House became the first Cape Town City Hall in 1840, when the city was granted its own municipal administration. When the City Hall was moved from Greenmarket Square to the Grand Parade in 1905, the Old Town House was converted into an art gallery. Today it houses the Michaelis collection. During the eighteenth century the square was the location for the well that was the town’s main water supply during summer when streams from Table Mountain dried up. The square itself was originally used as a slave market and as a market for fruit and vegetables. It has also been used as a car park. The cobble stones were laid on the square only in 1967. The stones came from Old Dock Road and Castle Street, and are all hand dressed granite. Many of the buildings on the square are of historical relevance, including the Methodist church, built in 1871. Bill Mylrea and John Stegmann are credited as the two visionaries behind the race. 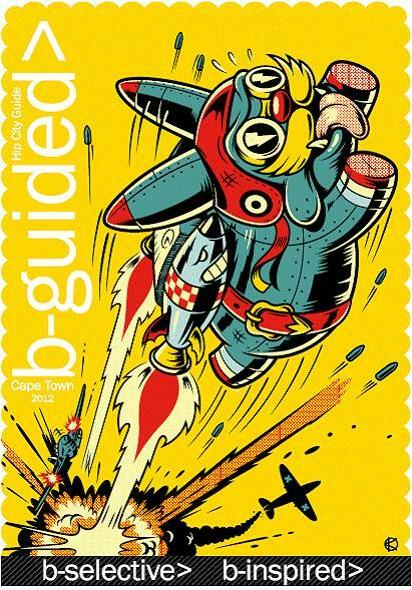 In 1977 they organised an event to draw attention to the need for cycle paths in Cape Town. The Big Ride-In attracted hundreds of entrants who cycled from the Grand Parade, down Adderley Street, and ending at the Foreshore. This event prompted the idea of a long-distance ride to be known as the Peninsula Marathon. It was not to be; in 1978 The Argus agreed to sponsor the ‘Argus Cycle Tour’. The inaugural event took place on 28 October 1978. Of the 525 entrants, 446 finished the 104km course that started outside the Castle in Strand Street and finished in Camps Bay. The winner of the race was Lawrence Whittaker, Chairman of WPPPA/PPA from 1988 to 1999, while the first woman to finish was Janice Theis. The race start was moved to its current point, Hertzog Boulevard, in 1981. The legendary Ertjies Bezuidenhout, who died this week at age 56 after suffering a stroke, won the race that year, setting a new record time of 2:47:42. The race distance varies between 104km and 110km. The 2012 event takes place over 110km. Japie Malan holds the record for the oldest man to finish the race, at age 90. The oldest woman to complete the race is Mary Warner, at age 80. * In 2002 due to heat: the race was stopped at 14:45 at Ou Kaapse Weg when temperatures reached 42°C. The forecast for that day was a mere 28 degrees! 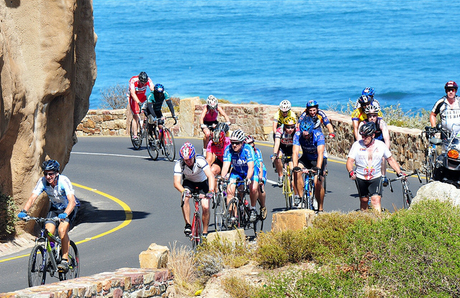 * In 2009 due to strong winds: gusts of up to 100km/h saw cyclists blown off their bicycles and the race was finally stopped at 16:30 at Chapman’s Peak. A 16:30 closure affected more cyclists than the time suggests, due to heavy winds delaying the start by up to 2 hours for many of the riders. The Argus Pick n Pay Cycle Tour is the largest individually timed event in the world. Interestingly, South Africa hosts two other “world’s largest” sporting events: the largest (and oldest) ultra-marathon event, the Comrades, as well as The Midmar Mile, the world’s largest competitive open water swim. On 11 March the second of these three events (the Midmar Mile took place in February) will see 35,000 entrants cycle a route as scenic as it is grueling. Game On and Rockets Compression Sportswear put together a video that takes you from start to finish in under 10 minutes. You may notice that the video does not start at Hertzog Boulevard; apparently on the day of filming Hertzog Boulevard was undergoing road works. According to this article in Times Live, footage in the edited clip was sped up 15 times. Since its inception in 2005, the Cape Town Book Fair has become known as the premier book fair in Sub-Saharan Africa and after an almost two-year absence, it’s back – remodeled and set to impress – at the CTICC from 15 to 17 June. As usual, book lovers can look forward to exhibitions by aspiring and published authors, book associations, book distributors, book stores, electronic book traders, libraries, literary agents, printers, publishers and repro agents. There will be book launches, book signings, author interviews, literary workshops and forums, and a poetry corner on offer. There will also be a dedicated digital zone for eBook fans, as well as a cookbook corner for culinary demonstrations. For younger visitors, there will be a kids’ zone with exciting literary activities. And, of course, there will be an impressive social events calendar too. The full programme can be downloaded at the website. General entrance costs R60 per day, students and pensioners pay R30, and entrance is free for accompanied children under 12. Tickets are available through Computicket. Sunday, 17 June: 09h00 – 17h00. 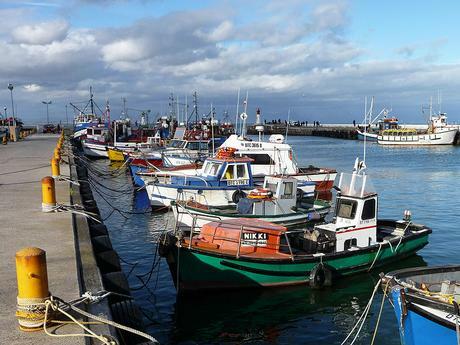 Kalk Bay’s history dates to the 17th Century, when a small community of lime-burners mined nearby deposits of limestone. The town’s importance waned during the late 1700s, but after 1806 it flourished as both a fishing village and a whaling station. The reason for its popularity as a whaling station? Whaling was prohibited in Simon’s Town when residents complained about the smell of burning rubber and rotting carcasses. Whaling was the third biggest industry in the Cape Colony behind agriculture and winemaking, but the whaling boom was short-lived when whales were quickly hunted to near extinction. The Cape Peninsula is home to 11 baboon troops and each troop varies in size, from about 7 to over 100 individuals. One troop leader that gained international notoriety was Fred, who developed the ability to open car doors. Unfortunately Fred became increasingly aggressive and attacked three people. Fred was captured after a three-year pursuit by authorities and although the decision wasn’t taken lightly, he was euthanised in March 2011. The latest addition to the B-guided stable takes in the magnificent Elgin to Elim region. 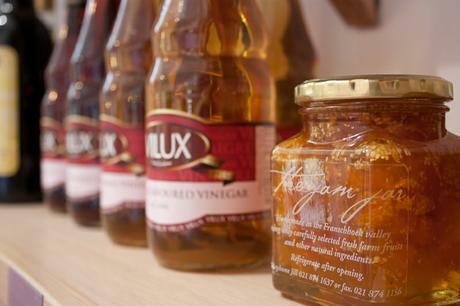 Encompassing Elgin, Bot River, Elim, Napier, Hermanus and Stanford, you’ll find some of the finest wine and cider. Sleep in a beautifully-styled, historic cottage sans television and other modern intrusions or in a luxury villa with the every convenience and stunning vistas. Take up fly fishing, abseiling, water skiing or mountain biking and plenty else besides, and once you’ve built up an appetite, country cooking using local products and produce, gourmet fast food, coffee & bakes and fine dining will satisfy the most demanding foodies. The information in the printed guide can be found on the website in the Out of Town Inspiration section, which includes the Riebeek Valley and a closer look at Hermanus – for now; we have many more planned! “An upscale dive bar” is what Reg Macdonald, co-owner of Aces ‘n’ Spades, says best describes their new spot on Hout Street. Reg, who recently returned to SA after an 11-year stint in LA, has teamed up with John Papadakis, think Rhodes House and Jade, to open Aces ‘n’ Spades. 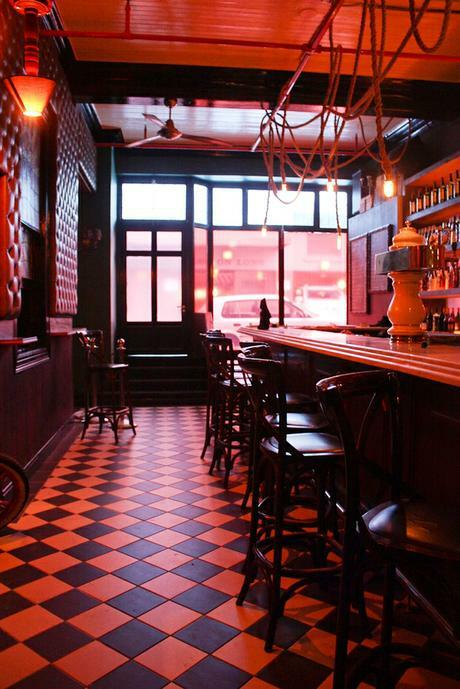 Aces ‘n’ Spades brings new life to the space where Boo Radley’s once lived. 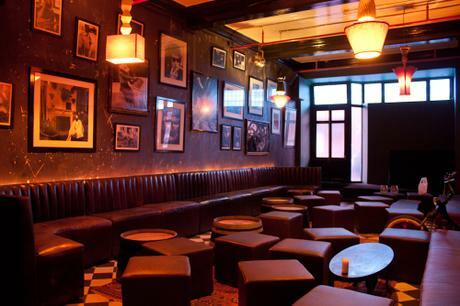 Reg says the idea was to create a good, honest, authentic bar that plays great music, if it’s electro or house you’re after you’re not going to find it here, and is not ludicrously expensive. “We want people to look at the bill at the end of the night and not feel hard done by” says Reg. 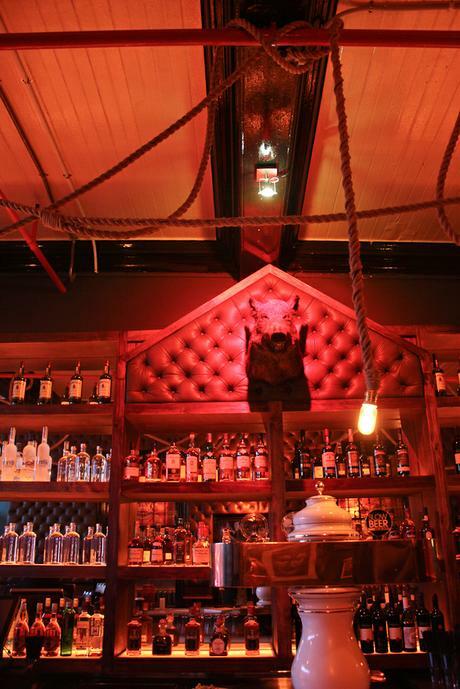 He goes on to say that they also didn’t want a bar that’s overly designed but rather a place where all walks of life can associate with something whether it is the stained-glass skull window or the wild boar above the bar. Their extensive craft beer selection deserves special mention and a bar snack menu will be available in the near future. For now, all you need to know is that Aces‘n’Spades will be opening this weekend with a soft launch on Friday and the real deal on Saturday. 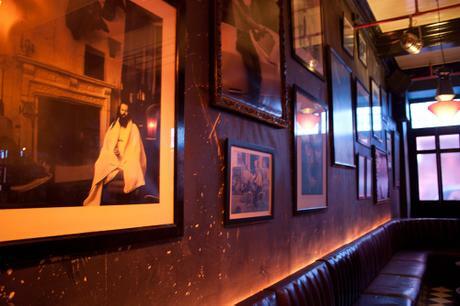 The bar is 0pen Wednesday to Saturday, 5pm to 2am. After her initial solo exhibition, Tears and Castles, at 34 Long Fine Art in 2009, Motel7 left South Africa to work in Europe and America. Having returned to South Africa she has reclaimed her position on the streets and in the Gallery environment. After working in traditional mediums from an early age, Motel7 has moved through the ranks of graffiti to street art and like many international artists, such as Banksy, Mr. Brainwash, Miss Van, Blek le Rat, D*Face and Nick Walker, has secured her position as an acclaimed urban contemporary artist. Since then her work has been featured in numerous international exhibitions, including the Basel Art Fairs, as well as galleries in Amsterdam and Los Angeles. Motel7 continues to hone her skills in urban spaces whenever and wherever the opportunity presents itself. Increasingly street artists occupy both urban and fine art environments. In cities like Cape Town, where street art is still illegal, artworks seldom remain on the walls for long enough to be fully appreciated before being cleaned off or defaced. Ironically, while the value of works in urban spaces is often overlooked, within the gallery environment these same works are approached with a more appreciative eye. Daydreamers, Motel7’s second solo show, affirms the ease with which she straddles the divide between urban and gallery spaces – where the traditional process of work progressing from gallery environment to museum or public commission, is reversed. The exhibition is presented in her unique visual idiom, built-up over years of working in a challenging environment. 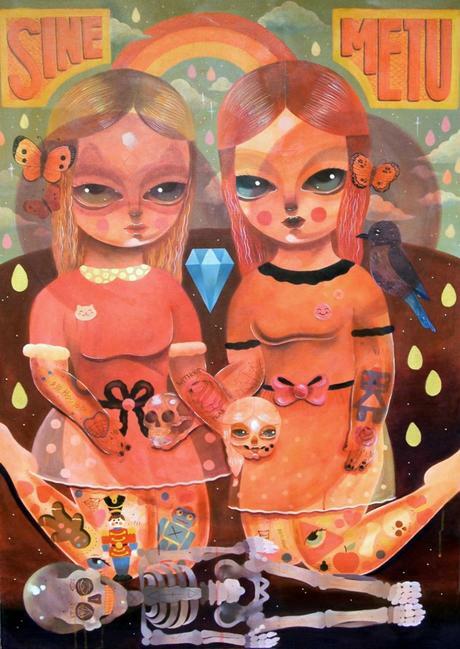 The seemingly juxtaposed images of sculls, toys, fruit and sweets are complimented by the vintage quality of the paintings… it’s all about symbolizing daydreaming and nostalgia and the past. Street art and graffiti are closely associated, but are often regarded as vandalism – evidence of urban decay – in stark contrast to gallery art, which is seen as the epitome of artistic achievement. Daydreamers demonstrates that it is not these works themselves which are different, but rather the contexts within which they are viewed. Don’t miss the opening reception on 16 October. The exhibition runs until 10 November. When a coffee shop or restaurant undergoes a name change it’s only natural to assume that the ownership has changed too. But when such a space changes its name for other reasons, all of which are positive, it’s good to know what it’s all about. 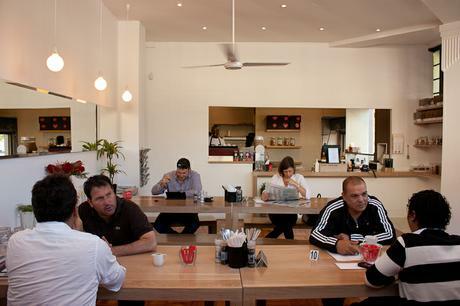 In May, Bree Street’s Rotisserie 360 undertook the new title of Café Frank. The reason? Owner Debbie Wynne explains that a fresh new offering deserves a fresh new name that encompasses the entire offering and not only one part of it (i.e. the rotisserie side of things.) She also adds jokingly that nobody could spell ‘rotisserie’ correctly. So what is the new offering all about? Well, there’s the lovely new indoor area, an added range of delicious deli and ready-made fare and as of this weekend they’ll be open on Saturdays. 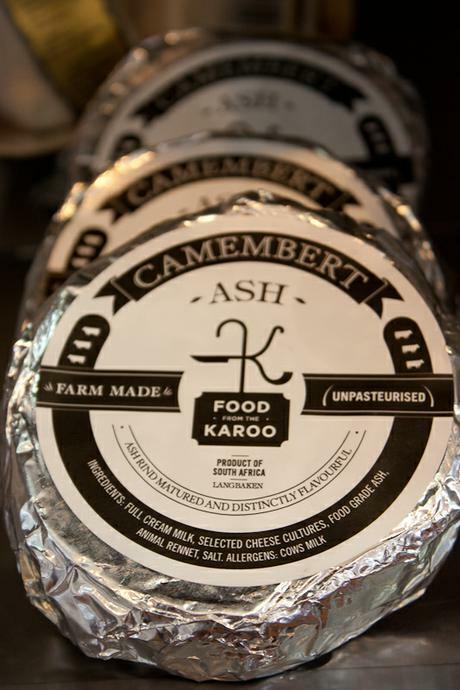 For the creatures of habit you will be pleased to know that your favourite Rotisserie 360 breakfast and lunch options are still very much available only now you can also pick up a freshly made pasta for dinner, a selection of cured meats and cheese for that romantic picnic or a portion of marinated Karoo lamb or venison to throw on the braai. 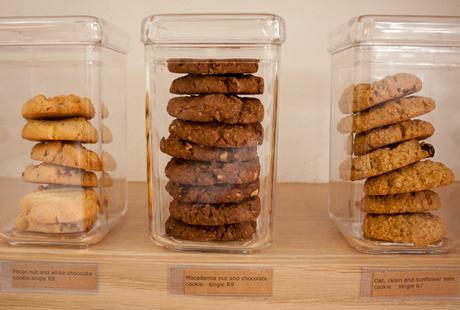 You’ll also find a selection of desserts, preserves and other accompaniments to add to the mix. 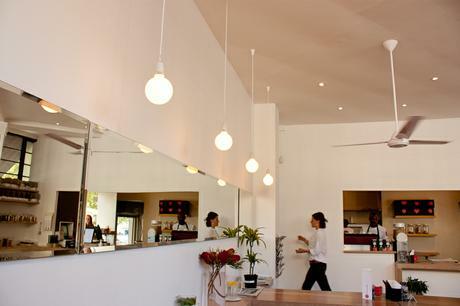 Café Frank will be open on Saturdays from 8am to 2pm and from this weekend until the end of November they will be running a R10 coffee weekend special. About three years ago, after trying his hand at making beer with friends – who just happen to also make Cap Classique in Hout Bay – Gary Pnematicatos was inspired to quit his job. 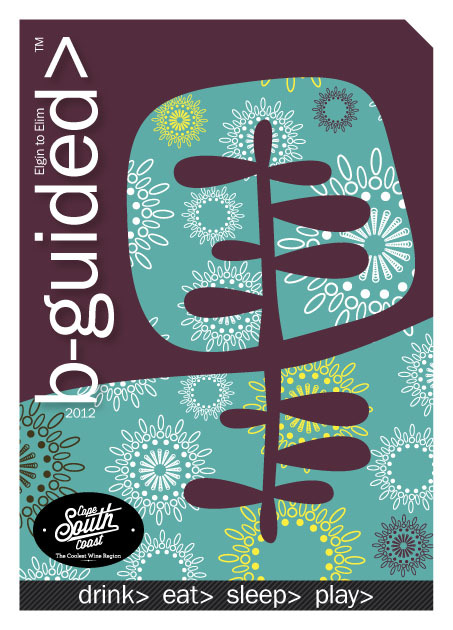 A self-described beer lover, Gary decided that beer making was what he should be doing. 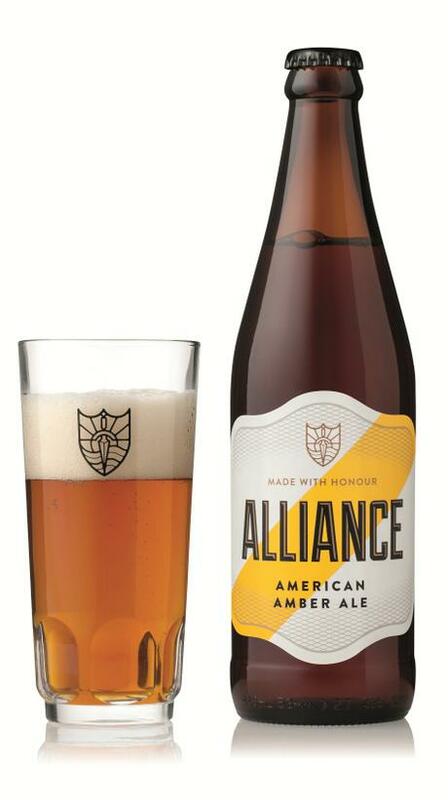 The sacrifice and hard work paid off and in April this year a new craft beer, Alliance American Amber Ale, was introduced to the mother city. A short seven months later, it’s now available for purchase in store and if the social media buzz about Cape Town’s newest craft brew is anything to go by, Alliance is enjoyed by an ever-increasing number of beer lovers. Ever curious, I asked about the names of the company and the beer. Gary and business partner Hugo Berolsky share an interest in Russian Constructivism and the iconic propaganda posters of the first half of the 20th Century. While neither embraces the ideology, they are inspired by the message: productivity and inspiration over defeatism and pessimism. That’s how Citizen Beer got its name. The inspiration for Alliance may be simpler, but it’s no less meaningful. It represents Gary’s and Hugo’s partnership. As mentioned, I’ve tried only two beers, both craft, in the last few years and despite having my choices affirmed, my lack of knowledge is glaringly obvious. Alliance, Gary says, is a light beer. The initial bitterness is followed by subtle caramel tones (not too sweet) with a subtle dryness at the end. If the buzz about the beer is anything to go by, it’s a hit. Even I, beer non-drinker that I am, have plans to try it. What’s next for Citizen? Another beer, of course. While we have to wait until January for Saboteur, I did get the story behind the name: Saboteur represents all those who will abandon Alliance for the new brew! You can find Alliance on tap at a number of popular Cape Town watering holes – see list here or pick up some at Roeland Liquors to enjoy at home.